Share your faith with our loved ones. We have unity crosses, Ganesha, lotus flowers, and more. Don’t see what you want? 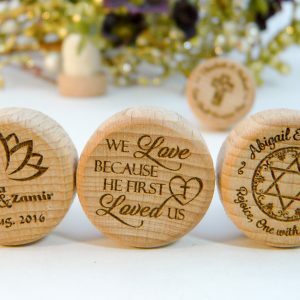 Custom designs are FREE with orders of 20+ personalized wine stoppers.